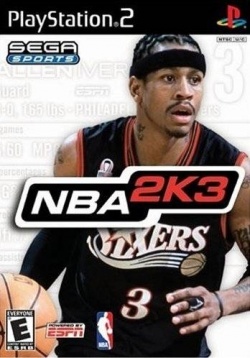 Game description: Sega Sports™ NBA 2K3 powers forward with the kind of improvements that only results from an off-season dedicated to perfection. Imagine jump shots so real players actually adjust their movement in mid-air, based on distance from the hoop and defensive pressure; a passing touch that gives you the control to skirt a defender or air-out a fast break; dribble moves that let you jab left, rock right, crossover, and spin; and much more. It's all happening in NBA 2K3. This page was last edited on 5 February 2017, at 18:34.